This is gonna cost you, hoomin. I'll hop like a butterfly and nip like a bee! I imagine there were way more tricks than treats!!! 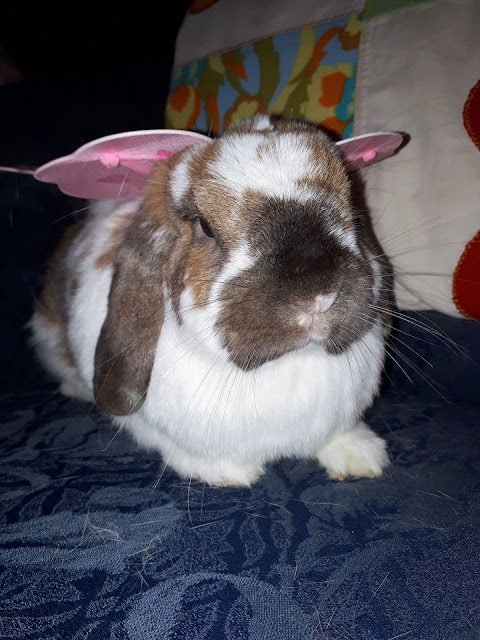 Just trying to picture Fiona thumping around a boxing ring wearing her little butterfly wings - no hoomin ankles would stand a chance! Oh, foolish people to make this pretty little bun show such disapproval! If you want to humiliate yourselves, then by all means, but otherwise just stick to getting the treats quickly and efficiently!